Each year as a first grade teacher, I would leave daily notes from "The Three Green Stooges." (Think Elf on the Shelf in leprechaun form!). 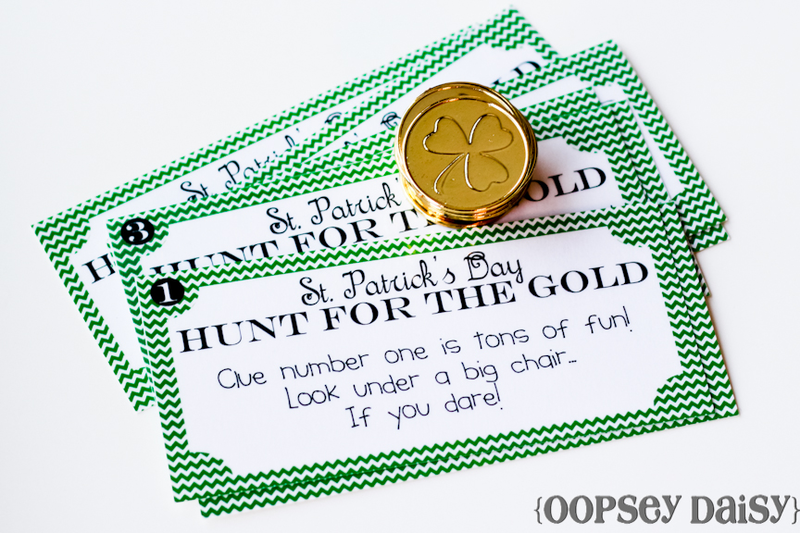 On St. Patrick's Day, the Three Green Stooges would leave one final note and lead my class on a treasure hunt leading to a pot of gold at the end. So I decided to revamp this idea for Little Man. Remember how we hunted for Pluto's Bones at his Mickey Mouse Birthday Party? Well, this was his favorite game, and he is STILL talking about it! So I knew he would love to go on another treasure hunt. 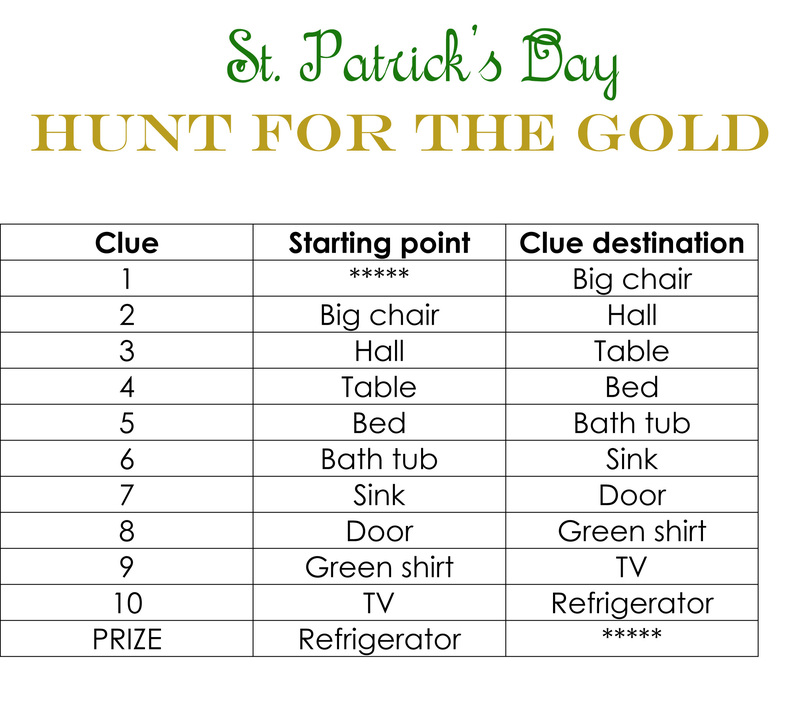 And I created these clues in printable form... so you can do this, too! 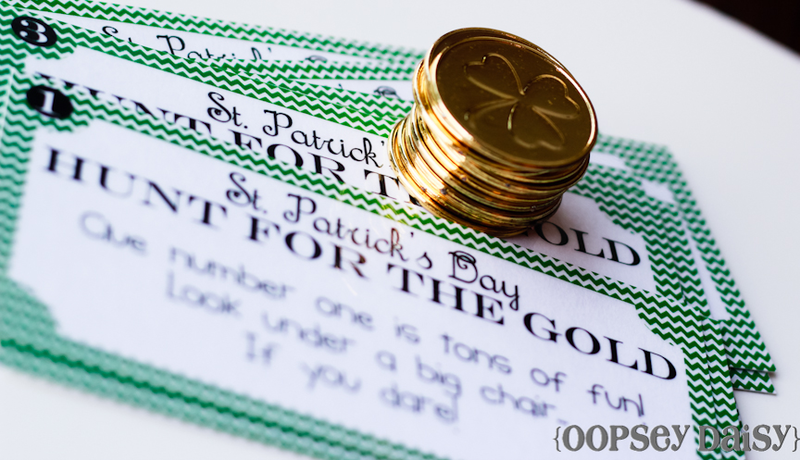 There are 10 clues leading to a pot of gold filled with prizes at the end. I was thinking a little poetic, so these clues rhyme! Some clues even require actions like hopping, running, walking backwards, etc. After designing the clues in Photoshop, I printed out the clues, laminated them, and cut them apart. Done! Little Man couldn't wait to get started! Daddy helped read the clues. 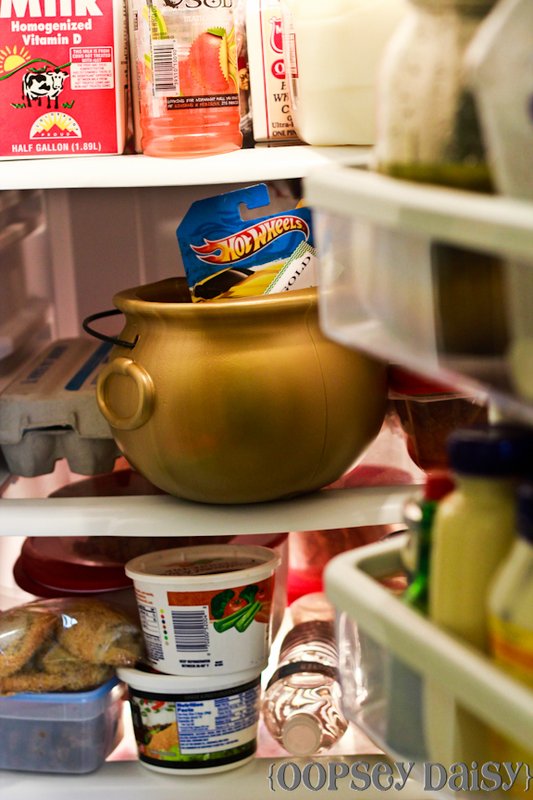 And finally, after lots of hiding and hopping, we found the pot of gold in the fridge! 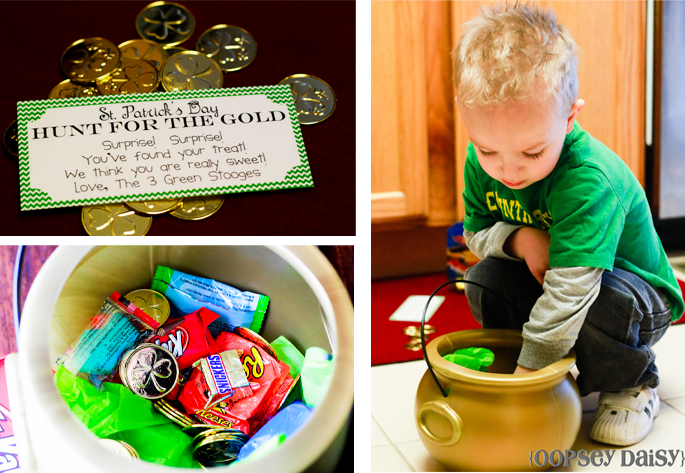 Little Man was so excited to find his Pot of Gold filled with treats, gold coins (he asked me if he could put these in his Piggy Bank! 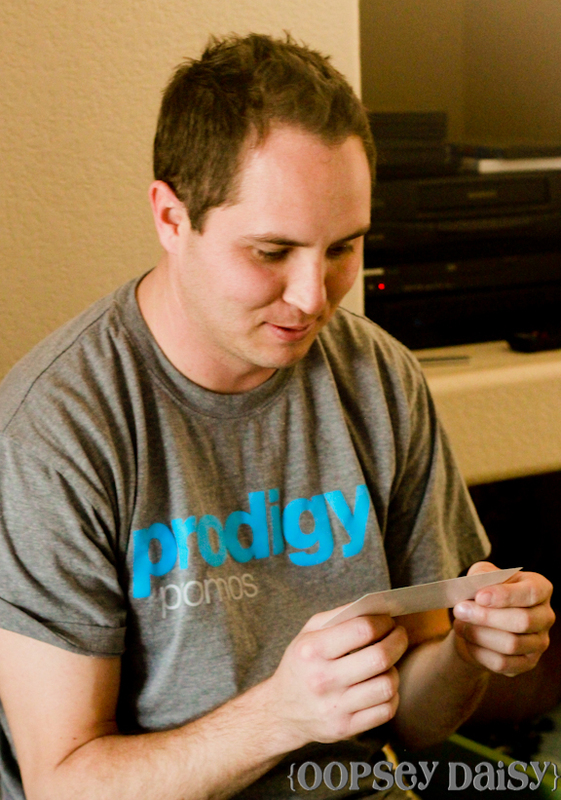 ), a new Matchbox car, and one last note. If you would like to go on your very own treasure hunt, then go print your own clues! You can download the ten Treasure Hunt clues here or here on Scribd. Plus I make a little cheat sheet so I know where each clue should be hidden and where it will take us! Otherwise I always screw up hiding the clues! If this helps you too, you can download the Treasure Hunt cheat sheet here. Are you thinking green yet? so fun! pinned this and shared it on fb. Cute, cute, cute! I can’t wait until my little guy is older so we can do this!! Thanks for sharing! Love this! My little ones will have a blast! Am I doing something wrong though, both links take me to the clue cheat sheet. Did you share the actual clue cards? Thanks for sharing!! Eek! Sorry Brandi! I just updated the links!! It should be working now! SO excited to do this with my boys!! THank you sooo much! I love doing treasure hunts but I am so bad at rhyming things!!! 🙂 Have a great week!! My boys still love doing treasure hunts! I love that you include a cheat sheet. Hiding things in the right places is always the hardest part. LOL! Oh.My.Word. This is THE cutest!! Thanks for sharing with all of us. Our sons are like a week apart in age so I know my son would have fun with this too! Thanks! What a cute idea!! I think I’ll revamp this for my class — we love playing games!! Thanks for sharing, Alison!! Oh my goodness what a super cute idea!! Love the pictures and the little tongue picture (my boys do that too)! So fun! Love the print out. I just love this — we will be using it here for St. Patrick’s Day! This is awesome! I have been looking for something like this! I am going to do this for my big girls as well as my little guy. Thank you so much for sharing Allison! LOVE this! I can’t wait to do it with the kiddos. Hope you don’t mind if I feature it as part of a St. Patty’s Day roundup? Thanks! This is adorable! Can I ask where you found the gold pot? Wow that is so much fun! My kids would love it!! Ahh, great idea! Little Man’s face is priceless! How cute is this!? I love the photos! I hope you’ll link up to my St. Patty’s Day Project Parade. Just today my daughter was begging me to make a treasure hunt for her!! Thank you!!! This is awesome! Did it for my kids today and they LOVED it! Thank you so much. This is such a cute idea! I am Irish, and planning our family reunion in July. We have over 100 people of all ages attend, and we have games and themes for every day. 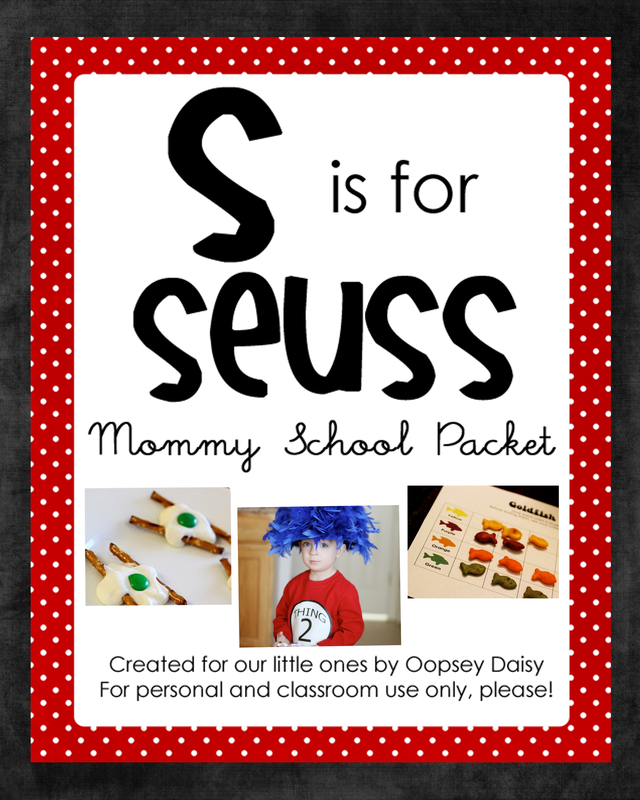 This will be perfect for all the little ones. Thank you so much for sharing! 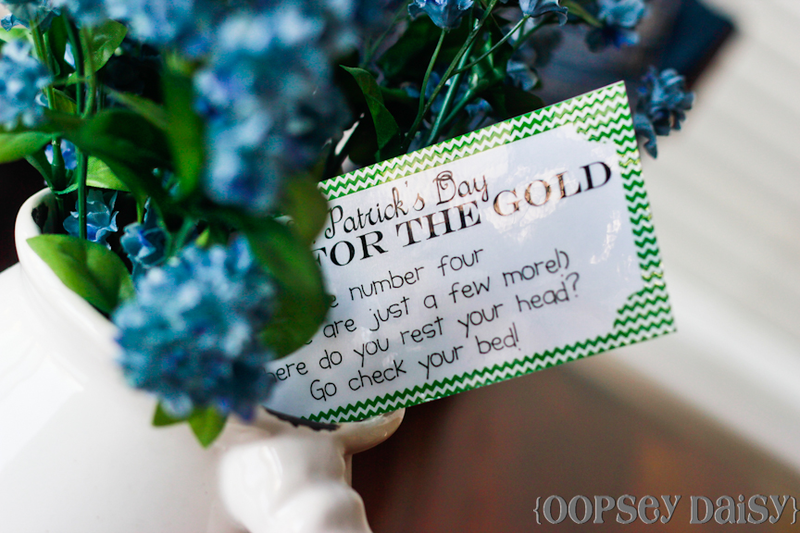 I did this last year with my 4 and 6 year old boys after making a leprechaun trap. I have never seen them more excited before. They went nuts! What a FUN momma you are!! Great job! 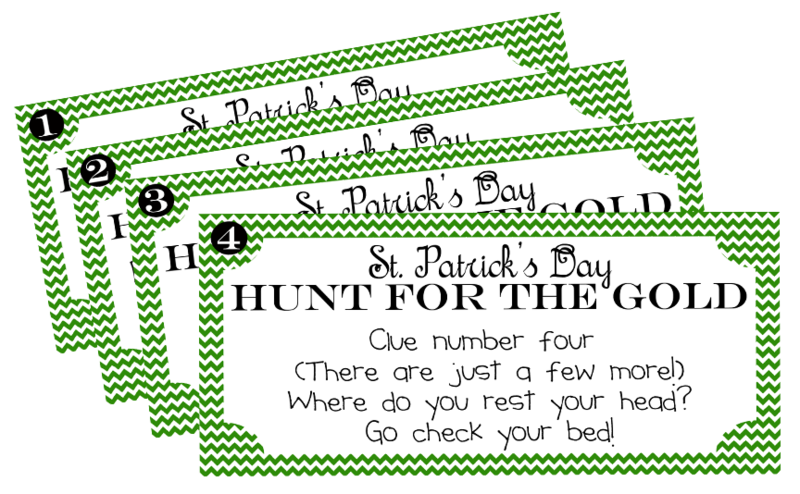 I’m sharing this in a 5 for Friday roundup of St. Patrick’s Treasure Hunt Ideas on my blog tomorrow, including one pic and a link back to this post. Thanks for inspiring moms to make memories with their kiddos! My 10 year old daughter found your treasure hunt online and sprang into action, doing this for my 2 year old daughter and 3 year old son – they loved it. Thanks for providing everything we needed to do this easily. I think it will become a St. Patrick’s day tradition for us. Hi Alison! 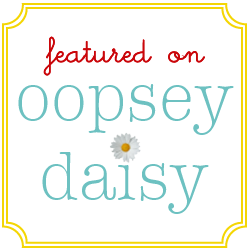 Do you mind if I share a link to this on my blog? I did this with my kids this year! We had a blast! barbecues and picnics and enjoying great fireworks at dusk. Thanks for this idea. Going to incorporate this for my 8 year old with some tougher clues my 17 month old will be ready to use this soon!! 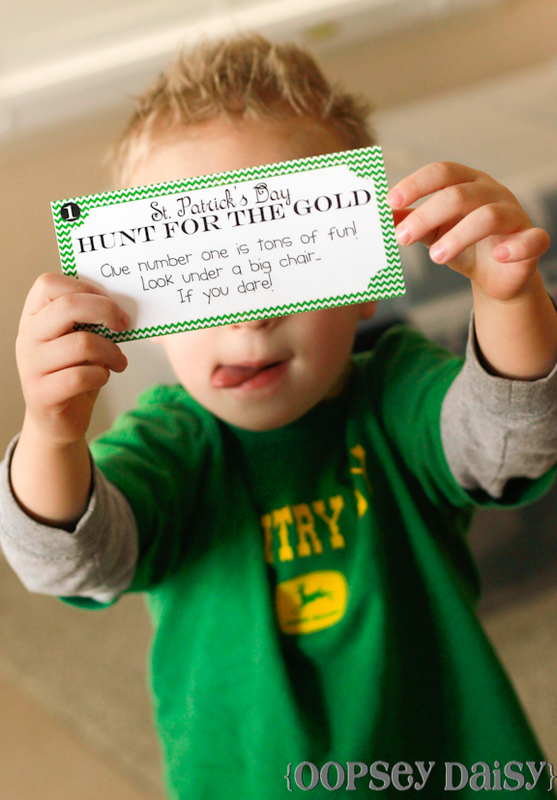 If your little man likes treasure hunts, you should try geocaching with him. 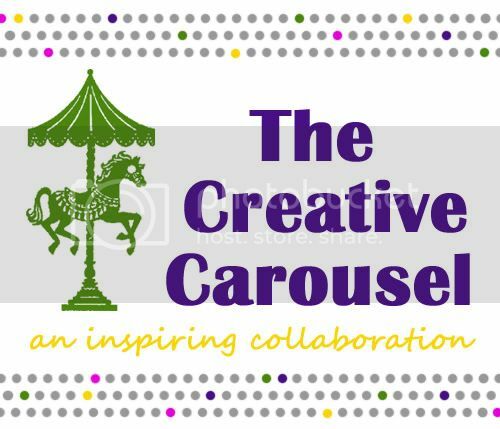 It’s lots of fun and a wonderful addition to homeschooling. Can anyone describe to me how this game is played with multiple children? Thank you so very much! 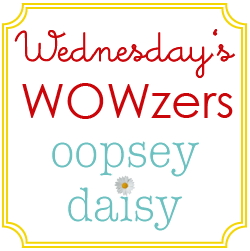 You are a wonderful person to make this so easy to use! Love it.